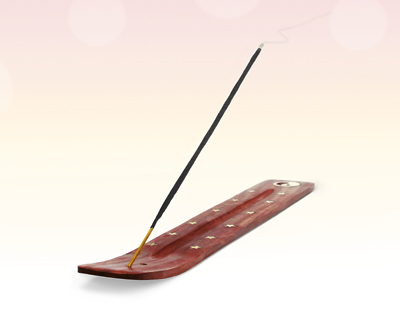 A traditional polished wood ash catcher, inlaid with delicate brass star decorations. The emblem and patterns may vary from the photograph shown. Imported from India, these hand-made ash catchers are manufactured from sustainable materials and represent excellent value for money.